If you're looking for a crew-cab truck that doesn't lack on towing capacity you're in the right place. This fully loaded Titan comes ready to get to work without sacrificing luxury! Comes loaded with features that anyone would love! With black leather interior, tow package, running boards, electronic seat adjustments you will feel on top of the world inside it! Plus this trim comes with parking sensors so you'll be able to keep the exterior looking in top shape! This Titan doesn't skimp on the comfort and convenience features. 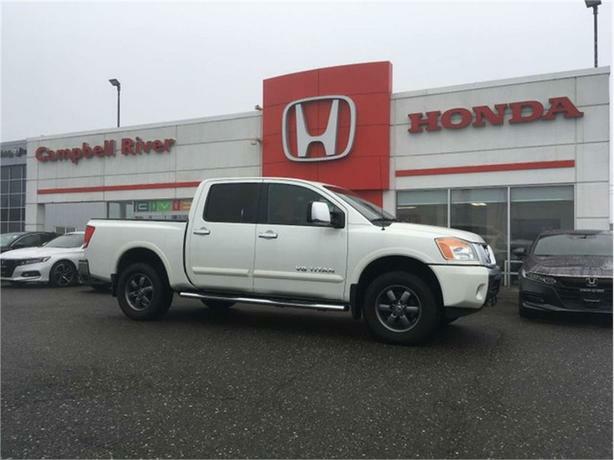 Inside this Titan you will have back up camera, leather interior, heated seats, navigation, sun roof, cargo lamp, cruise control, steering wheel mounted controls, memory seats, satellite radio capabilities, USB/AUX, dual climate zone, and more!